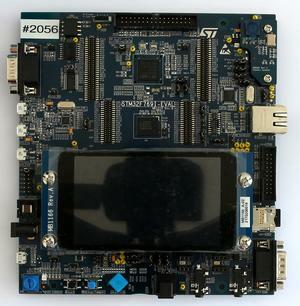 This article describes how to get started with trace on the ST STM32F769 MCU. This article assumes that there is already a basic knowledge about trace in general (what is trace, what different implementations of trace are there, etc.). If this is not the case, we recommend to read Trace chapter in the J-Link User Manual (UM08001). 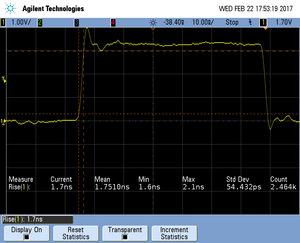 The ST STM32F769 MCU implements tracing via pins , so a J-Trace can be used for tracing. The following sample project is designed to be used with J-Trace PRO and Ozone to demonstrate streaming trace. The project has been tested with the minimum requirements mentioned above and a ST STM32F769I-EVALBOARD. The sample project comes with a pre-configured project file for Ozone that runs out-of-the box. In order to rebuild the sample project, SEGGER Embedded Studio can be used. The maximum supported trace clock speed on the tested evalboard is 50 MHz due to hardware limitations (see ST manual for more information). 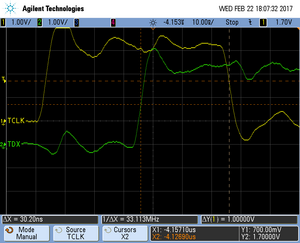 Theoretically full 108 MHz traceclock should be possible if the target hardware is setup accordingly. To use the 108 MHz example make sure that no peripherals are connected to the trace lines. If you are using the ST STM32F769I-EVALBOARD check the manual for the needed modifications to enable higher trace speed. The STM32F7xx Productfamily has additional pins that can be used for tracing. Usually only 5 Pins are mapped to have the trace functionality. In this case however multiple pinout configurations are possible over different ports even. Should you be using our trace example make sure your physical tracepin connections are equal to the ones on the ST STM32F769I-EVALBOARD. If not adjust the pin initialization accordingly. This page was last modified on 25 May 2018, at 14:17.